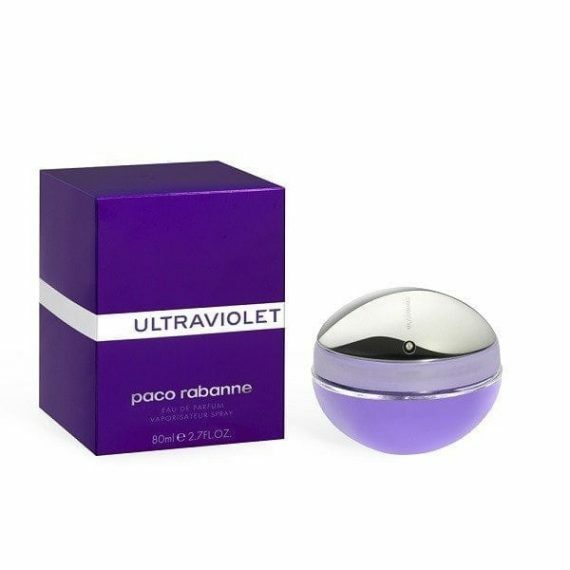 Paco Rabanne Ultraviolet Woman Eau de Parfum is floral oriental fragrance which features top notes of pimento, apricot, pepper, coriander and almond, middle notes of rose, violet, jasmine and Japanese osmanthus with base notes of vanilla, amber, cedar and patchouli. All together creating a modern, sensual and seductive fragrance copying the expression and very essence of femininity and sensuality. We would class this as a moderate to long lasting scent with the most predominant notes being the violet and pepper. Available to buy as an EDP spray.